The name of the professional association in Czech is: Technologická platforma “Udržitelná energetika ČR”, in English the following name is used: Technology Platform “Sustainable Energy for the Czech Republic” (hereinafter referred to as the Platform). The registered office of the Platform is Husinec-Řež, indication number of the building 130, postcode 250 68. The mission of the Platform is to support activities associated with research, development and the introduction of technologies which can be used for sustainable development in the generation, transmission and consumption of modern energy forms in the Czech Republic. The Platform contributes to the coordination of activities of those subjects engaged in the research and development of energy technologies and the producers and suppliers of the available energy and in connection with domestic and foreign programmes and financial resources. The Platform defines, represents, supports, defends and enforces the justified and common interests of its members, aiming at the creation of a suitable environment for the use of modern technologies in the sustainable development of the energy industry. The Platform strives to involve its members in the European Industrial Initiatives and in the technology platforms being formed within their frameworks and that deal with research, development and the introduction of technologies for sustainable development of the energy industry.The establishment and activities of the Platform are in line with the initiative of the European Commission dated 16 June 2004 regarding the “technology platforms”, published in COM (2004) 353 final, and in line with the Innovation Union in the framework of Strategy Europe 2020. The Platform maps systematically developments in the area of research, development and introduction of technologies for sustainable development of the energy industry in the EU, USA and other economically developed countries. 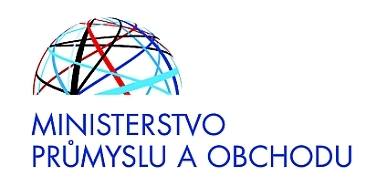 The Platform monitors and assesses activities in the area of research, development and the introduction of technologies for sustainable development of the energy industry in the Czech Republic. The Platform monitors systematically possibilities for acquiring resources in the Czech Republic, EU and elsewhere in the world that can be used for financing the research, development and introduction of technologies for sustainable development of the energy industry. The Platform provides mutual information regarding the subjects operating in the Czech Republic in the area of research and development of technologies for sustainable development of the energy industry. The Platform prepares projects dealing with sustainable development of the energy industry in the Czech Republic and applications for their financing and provides consultancy services to the entities implementing them. The Platform also promotes abroad the activities associated with the development of Czech technologies in the area of sustainable development of the energy industry in a suitable form. Membership in the Platform is voluntary. The decisions of the bodies of the Platform concerning the fulfilment of its mission and the manner in which such tasks should be fulfilled, including the policy statement, are to be regarded by members of the Platform as standpoints, recommendations or suggestions and are binding solely upon its bodies. The Platform does not intervene in the internal affairs of its members. The Platform is a professional association of legal entities founded in accordance with the relevant provisions of the Civil Code, which obtains legal capacity by being entered into the Register of Associations maintained by the Regional Authority of the Central Bohemian Region. The Platform is a legal entity. The termination of the Platform, including through liquidation, the appointment of the liquidator and the distribution of property are decided on by the general meeting. For liquidation of the association, the provisions of Law No. 513/1991 Coll., the Commercial Code, as amended, concerning the liquidation of business organizations are used accordingly. The liquidation of the association being completed, the liquidation balance distribution is performed. The individual association member’s share of the liquidation balance is determined in proportion according to the paid contribution of the given association member. For founding members, membership of the Platform commences by signing the minutes of the establishing meeting and becomes effective on the Platform being entered into the relevant register. The Platform may be acceded to. Members of the Platform (hereinafter referred to as “a/the Member”) may be legal entities that pursue or prepare activities in the area of sustainable development of the energy industry or support it either financially or by personnel. It has not been expelled from the association. The acceding Member documents its fulfilment of the conditions stipulated in Paragraph 3 by an affidavit signed by the authorized representative or by an empowered representative. The Members may use the designation of “Member of the Technology Platform ‘Sustainable Energy for the Czech Republic’”. Membership of the Platform has two levels, which differ in the degree of the Member’s influence over the organizational operation of the Platform and in the amount of membership dues. They do not differ in the extent of access to information of professional or popular nature. A regular Member of the Platform has the possibility to influence the Platform’s organizational structure and its strategic management. A regular Member is entitled to take part in the general meeting with a right to vote and its representatives may be elected onto authorized bodies of the Platform – the Board of Directors and the Executive Committee. The admission of a regular member is decided on by the general meeting. An associate member of the Platform is informed about the results of negotiations of the authorized bodies of the Platform and may take part in their meetings in an advisory capacity. The Executive Committee decides on the admission of an associate member and its participation in negotiations of the bodies of the Platform. Membership of the Platform commences as of the date of the decision of the Platform’s general meeting on the admission of a regular member, or as of the date of the decision of the Executive Committee on the admission of an associate member. Should a Member act against the interests of the Platform, the relevant authorized body may decide on expelling the Member from the Platform. An expelled Member or a Member which has cancelled its membership has no entitlement to any return of membership dues already paid. The settlement of possible liabilities of a Member, or of the Platform, following especially from Article 3, Paragraphs 6, 7 and Article 8, Paragraph 4, will be resolved in accordance with the individual contract made between the Member and the Platform for these activities. The activity of the Platform is financed from income including admission and annual membership dues. Membership dues fall into admission and annual dues. A Member pays an admission due in the year of its admission and annual dues in the following years. The amount for admission and annual dues is determined by the “Admission and Annual Membership Dues” document approved by the general meeting. Admission membership dues are payable within thirty (30) calendar days of the acceptance of the application for membership of the Platform. Annual membership dues are payable until 10 February of the relevant year. The financial means acquired from the resources mentioned in this Article are used within the framework of the Platform’s approved budget, especially for the payment of costs associated with the implementation of the Platform’s purpose of activity and for the further development of the activity of the Platform. The Platform’s property consists of things, rights, fixed assets, current assets, receivables, financial property and other property values created during the whole time of its activity. The Platform manages this property independently. Financial management of the Platform is governed by the Platform’s budget. The Platform’s budget includes anticipated income as well as expenses for fulfilling tasks and affording balanced coverage of the needs of the Platform in the given budget year. The income of the Platform’s budget consists especially of: subsidies from budgetary means of the Czech Republic, subsidies from development programmes of the European Union, membership dues paid by the members, income from its own activity and from participation in the business activity of legal entities and natural persons, income from donations, income from its own property, income from organizing different events. Where projects are implemented with the use of funds from the EU or the Czech Republic, obligations of the individual members of the Platform may be specified by individual contracts. The expenses of the Platform’s budget are spent to accomplish the Platform’s objectives and other expenses approved by the Executive Committee of the Platform. The Executive Committee of the Platform is responsible for fulfilment of the Platform’s budget. Budgetary means may be used in the relevant budget year only and for the purposes for which they have been allocated by the Platform’s budget. Unspent means are transferred into the basic capital of the Platform. The management of budgetary means and budgeting is controlled by the Board of Directors of the Platform. Should the need to make a payment not included in the budget arise during the year, it may be ensured by a more economical implementation of other tasks or by deferring or limiting another less urgent task within the framework of the individual types of budgetary expenses, or by transferring budgetary means between the individual types of budgetary income and expenses. Such measures are approved by the Executive Committee. The Platform keeps accounts in accordance with the relevant accounting regulations as well as records of the administered property and management of the Platform. The financial statement for the relevant accounting period is approved by the Platform’s general meeting, following the statement of the opinion of the Board of Directors. If, during a financial year, the prospect becomes imminent that the expense part of the budget will exceed by more than 50 per cent the amount of membership dues for the given year, the Executive Committee shall be obliged to convene a general meeting within twenty (20) days. The Platform’s members are obliged to observe the Constitution of the Platform. Each Member has the right to take part in the decision making of the general meeting as governed by Article 11 of the present Constitution, to participate in other events of the Platform, and the right to take part in decision making about the Platform’s activity. Each Member has the right to advocate its opinions and thus influence the creation of the Platform’s standpoints. Any Member of the Platform is obliged to inform the Platform about its activities relating to energy technologies in the manner determined by the Platform’s Director. Information from the existing relevant databases will be used, where possible. Each Member has the right to submit its proposals for changes and alterations to the basic documents of the Platform and the content of its programme and nominations for candidates in elections of the Platform’s representatives. Each Member has the right to comment on the activity of the Platform and its bodies and to request an explanation of all the Platform’s decisions from the bodies of the Platform. Each Member has the right to take part in the Platform’s activity through work in interest sections and teams of experts. All Members, bodies of the Platform and employees of the Platform are obliged to protect the Platform’s good name and not to discredit the good name of the Platform by their behaviour. If a Member acts on behalf of the Platform, it advocates and explains the programme objectives and standpoints of the Platform. Each Member is obliged to notify the Platform of any change in the data required for keeping membership records, and to provide the Platform’s bodies with the information necessary for carrying out the mission and activity of the Platform, with the exception of classified information. Protection of the intellectual property of each Member during the Platform's activities will be secured by a special contract between the Member and the Platform, represented by its Director, unless otherwise agreed by the Members. If need be, the Executive Committee may establish temporary bodies necessary for ensuring the Platform’s activity, especially interest sections and teams of experts. The term of office for members of the Executive Committee and the Board of Directors lasts three (3) years and ends on the day of the next general meeting after the term has expired. Also, the term of office of those members of the said bodies who have been elected in special elections or have been co-opted onto bodies on the basis of the present Constitution ends as of this date. Re-election of a member of the said bodies is possible. The general meeting is the highest body of the Platform. The general meeting consists of the regular members represented either by their authorized representatives or by persons who have been awarded the power of attorney. Each member has one vote in the general meeting. If, for any reason, the general meeting does not adopt rules to determine the amount and payment deadline of membership dues, the existing rules governing this area remain valid until a new decision of the general meeting. The members of the Executive Committee and the Board of Directors take part in the general meeting in an advisory capacity. The Director and the guests invited by the Executive Committee of the Platform also participate in the same capacity. Decides on other questions which have been included onto the agenda on the basis of a proposal from the Executive Committee, Board of Directors, or members representing at least one third of all members. Decides on the amount and method of payment of membership dues. Decides on the Platform’s joining other organizations and on property interests in them. Decides on further questions which it has reserved for itself or about which it decides pursuant to the present Constitution. The general meeting takes place at least once a year. The general meeting shall be convened in writing and the letter of invitation shall be sent twenty (20) days at the latest before it is held. However, members of the Platform can waive this deadline (approval of all members is necessary). The agenda of the general meeting and source materials for its negotiations shall also be sent along with the letter of invitation. The general meeting may discuss matters not previously included on the agenda only where a proposal to table such a matter for discussion is accepted by at least two thirds of the votes of members present. The Executive Committee may convene a further general meeting on its own initiative and is obliged to convene it on the basis of a proposal of the Board of Directors or on the basis of a written request from members representing at least one third of the membership. The general meeting is deemed quorate if members representing an absolute majority of all votes are present. The general meeting decides by an absolute majority of the votes of the members present, unless the present Constitution requires a qualified majority. The general meeting decides on all the Platform’s expenses exceeding CZK 2,000,000. The Executive Committee is the authorized representative of the Platform and its highest body in the period between two general meetings. The members of the Executive Committee are elected by the general meeting from representatives of the Platform’s regular members. The members of the Executive Committee elect the Chairperson from their midst, who convenes and chairs the meetings of the Executive Committee, and further the Vice Chairperson, who acts as the Chairperson’s deputy if they are not present or for any period when they are unable to execute their functions. The Executive Committee has five members. If the seat of a member of the Executive Committee is vacated during the term of office, it may be taken by a member who is co-opted by the Executive Committee; co-opting is approved by the next general meeting. The co-opted member’s term of office ends at the same time as the term of office of the other members of the Executive Committee. If a member of the Executive Committee cannot participate in a meeting of the Executive Committee for serious reasons, they may delegate a representative. Decides on establishing teams of experts and interest sections within the framework of the Platform. For time reasons, decisions of the Executive Committee may be executed in writing. The Executive Committee convenes for meetings as required; however, once a year at least. The Chairperson of the Board of Directors or the member of the Board of Directors appointed by him/her has the right to be present at meetings of the Executive Committee in an advisory capacity. The Executive Committee decides on the expenses of the Platform up to CZK 2,000,000. The first Executive Committee of the Platform is elected by the founding members of the Platform. This is accomplished by bare majority of the founding members present at the establishing meeting of the technology platform “Sustainable Energy for the Czech Republic”. The Board of Directors has seven or nine members. Members of the Board of Directors are elected by the general meeting from representatives of regular members of the Platform and representatives of state agencies for a period of three (3) years. Re-election is possible. If the seat of a member of the Board of Directors is vacated during the term of office, it may be taken by a member co-opted by the Board of Directors. Co-opting is approved by the next general meeting. The co-opted member’s term of office ends at the same time as the term of office of the other members of the Board of Directors. The members of the Board of Directors elect a Chairperson from their midst, who convenes and chairs its meetings, and further the Vice Chairperson, who acts as the Chairperson’s deputy if they are not present or for any period when they are unable to execute their functions. Supervises the financial management of the Platform and administration of the Platform’s property. The Board of Directors convenes once a year at least. The first Board of Directors of the Platform is elected by the founding members of the Platform. This is accomplished by bare majority of the founding members present at the establishing meeting of the technology platform “Sustainable Energy for the Czech Republic”. The Director of the Platform is the Platform’s employee and is appointed and removed by the Executive Committee. The Director is responsible especially for ensuring of the organization and activities of the Platform and managing its general operation, including its financial management. The Director acts and signs on behalf of the Platform under authorization given by the present Constitution of the Platform. The Director directs the secretariat of the Platform, executes the rights of the employer on behalf of the Platform in accordance with the relevant generally binding legal regulations, especially engages employees and terminates employment contracts. If not a member of the Executive Committee, the Director takes parts in its meetings in an advisory capacity. The Director is authorized to decide on expenses of the Platform up to CZK 100,000. Interest sections are established for the long-term (repeated) resolution of specific problems monitored by the Platform. Delegated representatives of the Members constitute an interest section. A team of experts is established to solve specific problems lasting for a limited time period. A team of experts consists of delegated representatives of the Members. The representatives of interest sections and teams of experts may, based on the decision of the Executive Committee, participate in its meetings in an advisory capacity. The Constitution of the Platform can be altered on the basis of a decision of the general meeting only. The present Constitution of the Platform was approved at the establishing meeting of the Platform on 21 May 2009. The representatives of the founding members of the Platform agree to the wording of the Constitution of the Platform and in witness whereof the said parties hereto attach their signatures.